Developing patience in an instant gratification society takes concentrated effort because “instantness” surrounds us. With internet access at our fingertips, faster is always better. We stream movies with a simple click, and any buffering makes us growl. We want our food fast and without any mistakes. Instant messaging creates more pressure to instantly respond. An epidemic of impatience is fueled by a culture of instant gratification. Each time we growl at our device, or service, or messenger, we feed the beast of impatience in our hearts. Impatience robs us of self-discipline, true patience, and satisfaction. We become dissatisfied when we don’t get what want we at the speed we want. We grow impatient with the people around us, even though people are what makes our society tick. We need each other, for God places people in our lives to grow us, shape us, and to sharpen us for our own good. In our instant-gratification society where impatience rules our responses, God calls us to be patient with our circumstances, and most importantly, with others. And what God calls us to be, he enables us to be. The following principles can help us to live in patience with the people in our lives. Please don’t believe that you must be born with patience in order to be patient. Patience is cultivated as we abide in Christ and rely on the Holy Spirit to mold us. God restores, and that means he removes rust and replaces broken parts. Abiding in Christ is a surrender of our hearts and wills; a submission to the work of the Holy Spirit. Paul prays for us in Colossians 1:11, that we would know God’s love, power, and have the ability to live a life worthy of his calling. The worthy life is a life filled with endurance and patience, for others’ troubles as well as our own. We need patience when we’re cut off in traffic or reprimanded by our bosses when we don’t move fast enough. This type of patience is the kind that enables us to function, not in our own strength, but in God’s. He is the source of all power and patience. It’s easy and natural to respond to impatience with more impatience, but that how Jesus would respond. The easy way might be less exhausting, but it is also less rewarding. Paul lists patience as a commendable virtue in 2 Corinthians 6:6. One way we can do this is to treat each encounter with another person as an opportunity to minister. God may want you to paint large strokes of his love in someone’s life and your patient response is how he does it. Living in understanding with others requires us to view them as we view ourselves, which means we need to get out of our own heads and into the hearts of others. Our instant gratification society leads us to believe that we should receive immediate satisfaction through every interaction with other people, but so often this isn’t the case. It’s easy to growl at others when we’ve had a rotten day. And maybe the growl you just received wasn’t really directed at you, but at another situation the person dealt with during the day. When we live in understanding toward the experiences of someone else’s life, we grow in our ability to be patient in our instant society. Imagine that you’re a warrior fighting against the epidemic of impatience brought on by an instant-gratification society. What’s your tactic? According to Proverbs 16:32, patience is the best weapon we have if we want to overcome. It is important then to practice it, and let it grow, often in conditions where you must put up a fight in order to maintain a spirit of patience. Just like fish swimming upstream, we must fight against the currents in order to choose the patience that runs contrary to the current societal tide of impatience and immediacy. When you are most discouraged, remember that patience is what takes the city. Proverbs 19:11 offers us two points of guidance to developing patience with others: “A man’s wisdom gives him patience; it is to his glory to overlook an offense.” Patience is a fruit of the spirit and its source is God. When we respond to impatience with patience, we can diffuse the situation. We need wisdom and we find it described in James. Wisdom is pure, peace-loving, considerate, submissive, merciful, good fruit, impartial, and sincere. Next time the impatience of our gratification-wracked society seizes us, let’s choose one of these responses. True power to change the trajectory of our words and actions lies in choosing the hard way. Patience is the hard way, but it is also the most fulfilling way. A harsh word is smoothed with a gentle one; when gentleness is chosen, there is pleasant change within our relationships with others. Choose gentleness the next time you struggle with the natural impatience that comes from today’s pace of life and create space for peace and patience. It feels impossible to show love when we don’t feel loving. But without love our acts of kindness merely sound like clanging symbols. Loving others who love us back is easy-peasy, but loving others who honk at your driving, yell at your lateness, or demand that you be super-human is challenging. But we must pursue love as Proverbs 21:21 states: “He who pursues righteousness and love finds life, prosperity, and honor.” Pursue patience. Choose love in the face of the not-so-patient society we live in. Our Lord bore our sins. He is our mercy, redemption and grace. We need to bear with one another, to pursue loving-kindness, gentleness, and even-temperedness. God is growing you and me into mature Christians, and through each experience with another person, we grow. Our choice of response tells us whether we’re growing crooked and diseased or straight and true. What will you choose today? Will you choose patience with your fellow man? 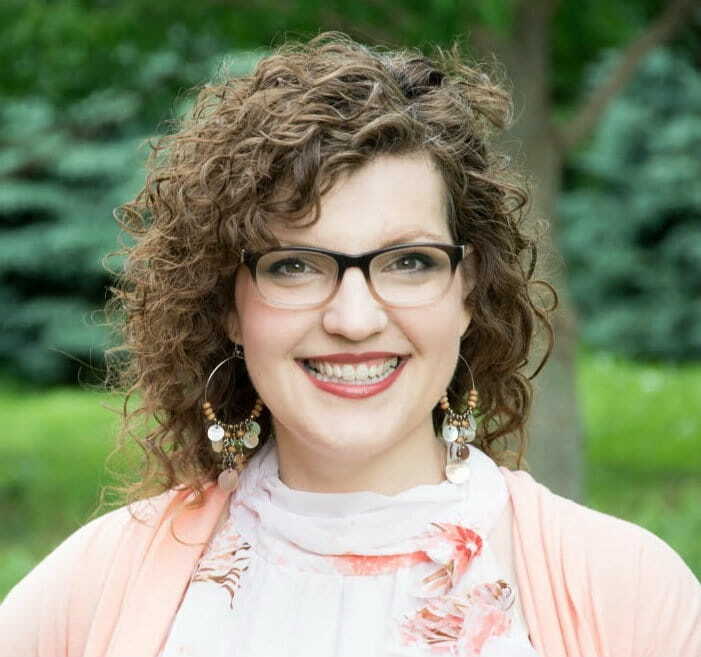 Jessica Van Roekel is a woman on the journey to wholeness through brokenness. She believes that through Christ your personal histories don’t have to define your present or determine your future. Her greatest desire is to see you live this “God-life” with all the power and grace that God provides. Jessica lives in a rural community with her husband and four children. She leads worship on Sundays, but seeks to be a worshiper every day. You can connect with her at http://www.welcomegrace.com/and on Facebook: www.facebook.com/yourJessicaVanRoekel.